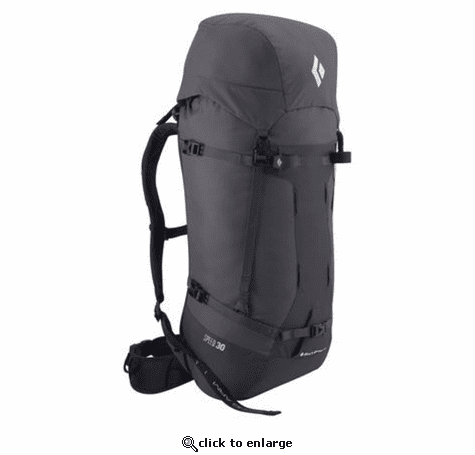 rom single-push blitzes in the central Alaska Range to big Sierra ridge traverses, the Black Diamond Speed 30 is our streamlined, strippable climbing pack optimized for alpine-style ascents on rock or ice. Outfitted with our reACTIV suspension system and a removable hipbelt, lid and framesheet, the Speed offers a comfortable yet minimalist carry for your on-route essentials. Ice-tool attachments, a tuck-away rope strap and ladder-lock crampon straps secure all your technical gear on the approach.